Good Oaks believes that good, enabling care at home after a hospital stay is all about rebuilding independence. We understand that a stay in hospital can knock our clients’ confidence and make everyday tasks seem difficult to manage. 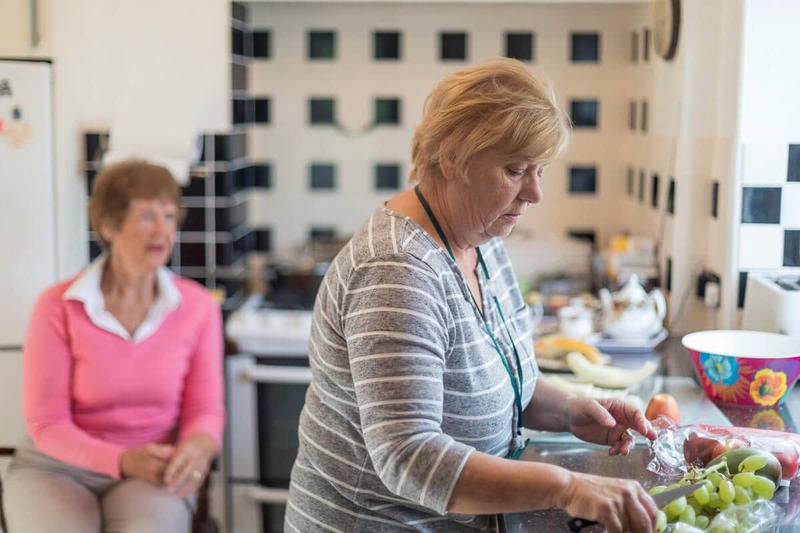 Our carers work with you to help you resume your daily routine as much as possible. We follow a multi-disciplinary approach in our home from hospital care packages. We ensure that the client is at the heart of the hospital discharge team and work hard to build strong, enabling relationships with family, friends, nurses, physio- and occupational therapists. Our team has extensive experience with home from hospital and reablement care. Our carers gently encourage our clients to do as much as they safely can for themselves, while helping with the things they find challenging. We can visit you, or your loved one, in hospital to carry out an assessment. We’ll also visit your home with a family member, to get an idea of the kind of help you will need there. We’ll then put together a care plan and by the time you are discharged from hospital, we’ll have everything up and running and your care can begin. You can book a consultation here or call us on 01202 757787. Mr K suffered from a stroke in early 2014. After three weeks in hospital, he was discharged to stay with his daughter and son-in-law while he recovered. Good Oaks was chosen to provide his reablement care package. We visited twice daily and worked in partnership with the stroke rehabilitation team and Mr K’s family to deliver a flexible reablement care service. Our aim was to improve Mr K’s confidence and ability to manage his morning routine independently. Our reablement programme encouraged Mr K to do as much as he can himself, whilst helping with tasks he still found difficult. This flexible service responded and adapted as Mr K’s health improved. Continuity of care is vital for a package like this, as our carers needed a good insight of what Mr K could and couldn’t do, and to allow an enabling, professional relationship to develop. After initially visiting twice daily, we agreed with Mr K to reduce his care visits to one visit in the morning as he was feeling more confident. He was still improving and relearning skills with the help of the rehabilitation team and Good Oaks, but he was managing to do more and more by himself. Mr K has now cut down Good Oaks’ visits to just twice a week. The team has been really good in helping me get back to normal after the stroke. I enjoy their company and they’ve been very flexible and a great help, which is much appreciated. For more information, request a call-back or send us a message via the contact page or call us today on 01202 757787.